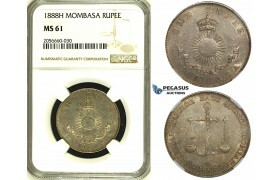 AA948, Mombasa, 2 Annas 1890-H, Heaton, Silver, NGC MS65 (Violet toning) ..
AB500, Mombasa, Pice 1888 C/M, Calcutta, NGC UNC Details ..
AC062, Mombasa, 1 Rupee 1888-H, Heaton, Silver, NGC SP63 ..
AC147, Mombasa, Pice 1888 C/M "Medium Letters Reverse" NGC MS64 ..
AC471-R, Mombasa, Pice 1888 C/M NGC AU58BN ..
AC816, Mombasa, 2 Annas 1890-H, Heaton, Silver, NGC MS65 ..
I55, Mombasa, 1/2 Rupee 1890-H, Heaton, Silver, NGC MS63 ..
S31, Mombasa, 2 Annas 1890-H, Heaton, Silver, NGC MS66 (Pop 1/5, No finer!) 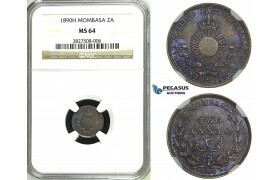 ..
U46, Mombasa, 1/4 Rupee 1890-H, Heaton, NGC MS66 (Pop 1/4) Rainbow Toning! 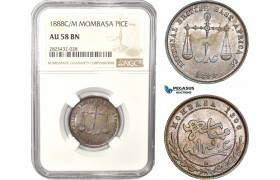 U46, Mombasa, 1/4 Rupee 1890-H, Heaton, NGC MS66 (Pop 1/4) Rainbow Toning! 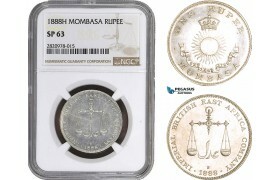 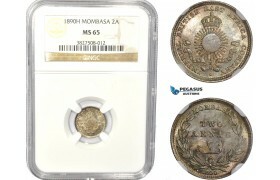 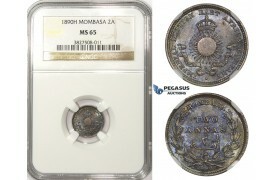 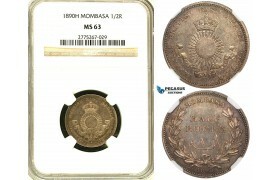 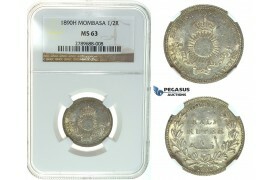 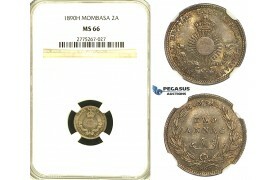 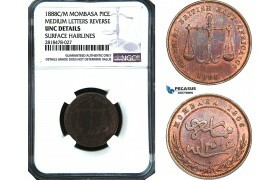 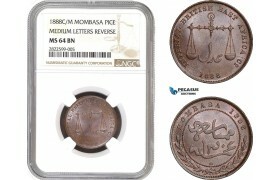 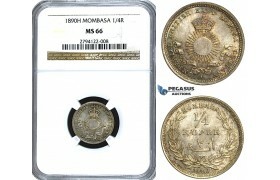 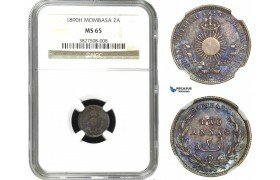 ..
ZB51, Mombasa, Half Rupee 1890-H, Heaton, Silver, NGC MS63 ..
ZH46, Mombasa, 2 Annas 1890-H, Heaton, Silver, NGC MS64 (Violet toning) ..
ZH47, Mombasa, 1 Rupee 1888-H, Heaton, Silver, NGC MS61 ..
ZM82, Mombasa, 2 Annas 1890-H, Heaton, Silver, NGC MS65 (Violet toning) ..